Nobody does a children’s museum like Piper. There isn’t a toy she won’t play with. Upon arrival, she runs around touching and examining everything until she decides on the one spot where she will spend the next six hours. This time it was the kitchen. “It’s just like a real kitchen!” Piper exclaimed. I gritted my teeth and assessed my chores. Then I began my work, just like at home. I take my linens seriously. Then Piper discovered unchartered territory. “What’s this?” she asked, sizing up a tiny ironing board. I hesitated. She’s so young. Why force her to grow up so soon? Piper’s eyes were huge. I’m proud to say she’s never seen me iron. She moved so fast in her excitement I could hardly get a picture. 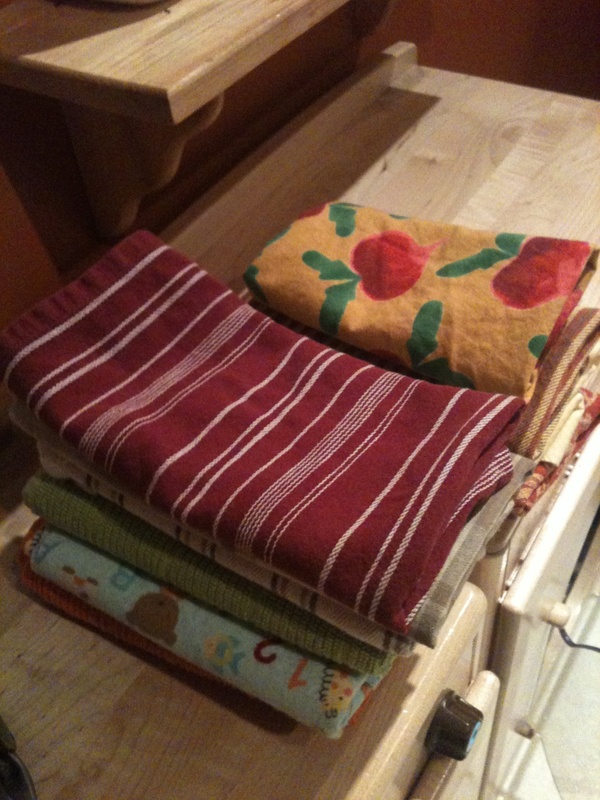 She grabbed the pile of linens I had carefully folded and began “ironering” out their wrinkles. This entry was posted in Antics and Adventures and tagged children's museum, domestic goddess, humor, ironing, laundry, parenting, piperism, pretend kitchens, vacation by melissa.scholes.young. Bookmark the permalink. Gotta say, I kinda like that laundry poster they have there. I think I’d feel a lot more hip about doing laundry if I had it. Oh, I’m just lying to myself! 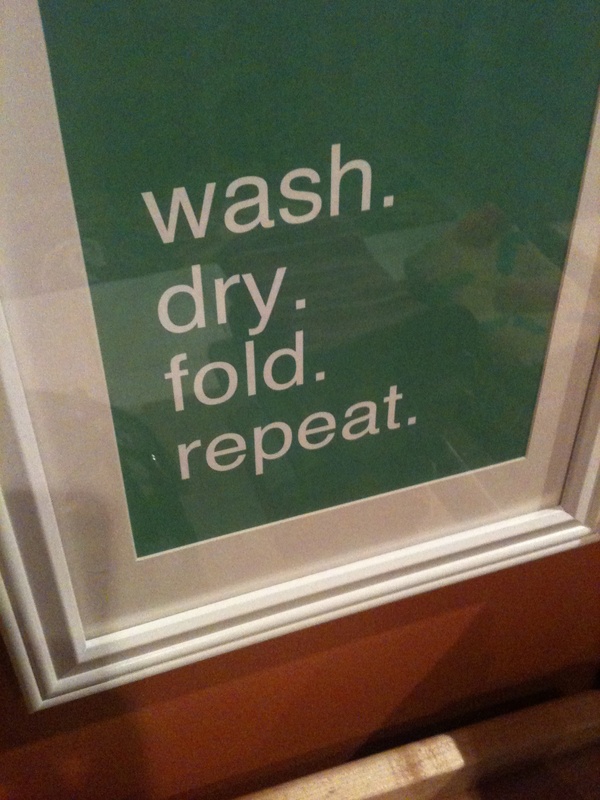 The laundry poster seems like some kind of mantra. It keeps swimming around in my head. But I don’t seem to be doing the laundry from our vacation any quicker. 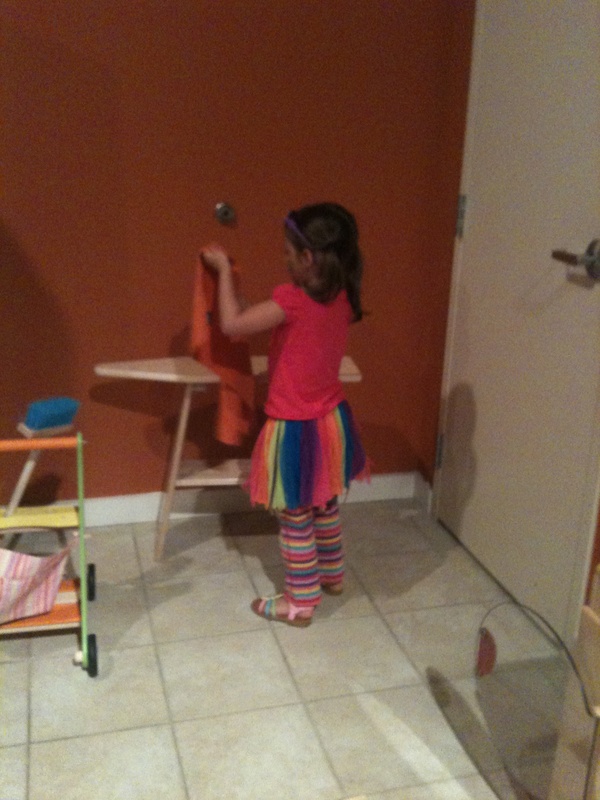 Daddy does the “ironering” in our house. I actually check tags when I buy things to make sure they DON’T have to be ironed. E would be just as confused as P if I set up the board and got out the iron. Not sure I’d remember how to do it anyway.